At the highest levels of racing, like F1 and the LMP class in the WEC, it's generally believed that it's the manufacturer who bears the brunt of the financial burden associated with running a team. Sure, squads like Porsche's LMP Team get some dollars from their "partners" but everything we've read leads us to to believe it's probably not even a fraction of what it costs to run the team. So Why Have Sponsors At All Then? Sponsorship and motorsports go together like chicken and waffles. It's a strange combination, but done correctly it just works. Porsche, for instance, has varying levels of sponsorship. DMG MORI, in its fourth season with the team, is Porsche's exclusive premium partner. This means their name is the most prominently displayed on the 919 Hybrid, in the pits and on the team's gear. In addition, given DMG MORI's expertise as a leader in the field of machine tool manufacturing, Porsche looks to them to contribute to their success in motorsport. DMG MORI helps build very specialized parts for the 919 including the steering wheel mould, wheel bearings and disc brake housings just to name a few. According to Alexander Hitzinger, Porsche's former head of LMP1 Development, "Both DMG MORI and Porsche are technologically very innovative. This is a great foundation for exploiting our combined expertise to develop new, efficient manufacturing solutions that meet on our demanding parts requirements. That kind of core competency is particularly relevant in motorsports, where innovation directly influences success." Then, there are development partners like Michelin and Mobil1. Partners since 1961 and 1996 respectively, both Michelin and Mobil1 work hand-in-hand with Porsche on the motorsport side to develop technology that transfers directly from the track to production level vehicles. 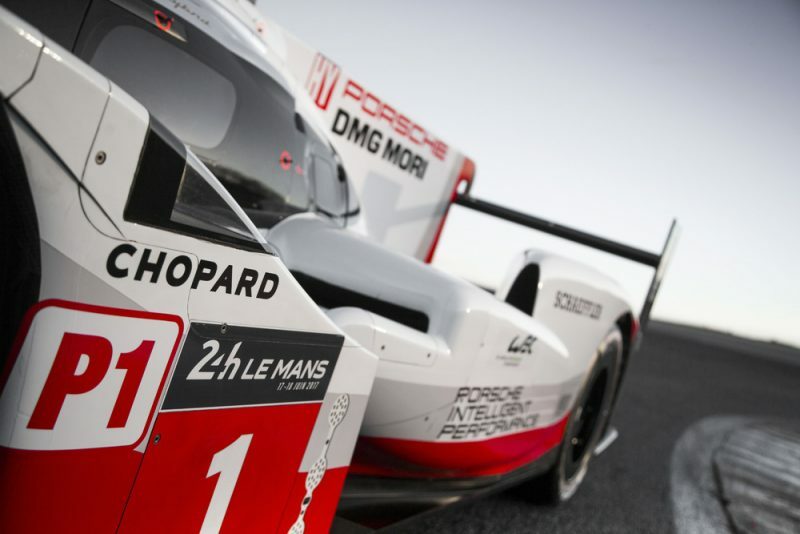 Chopard: Porsche's official "timing partner"
Vodafone: Porsche's official "communication partner"